If you are replacing an existing RV generator, you will need to know what fuel type you currently have: diesel, propane, or gasoline. 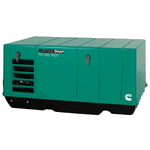 If your RV runs on diesel, then it's best to have a generator that also runs on diesel. 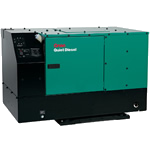 With a diesel generator, you can utilize one fuel source for both your RV and your generator. Diesel also produces more power than propane. It's cleaner burning than gasoline, non-explosive, and safer to store. Liquid propane is an environmentally-friendly fuel choice with cleaner emissions and a longer shelf life. The downsides, however, are that the runtime is limited to the size of your propane tank and the power output tends to be reduced by around 10% compared to gas or diesel. Some people prefer gasoline-powered RV generators because the fuel is easy to find and less expensive. However, gasoline is highly flammable, has a shorter shelf life, and burns more quickly than diesel. Nothing is worse than under-sizing a generator — or oversizing one. Save yourself money and ensure every appliance will work by sizing your RV generator properly. 1. Make sure your generator will physically fit into your RV. Take measurements in your RV generator's compartment to make sure you select one that will fit. 2. Determine your power needs. Start by jotting down every 120-volt appliance you'll need to run. The A/C unit will require the most power to run, and has a higher starting wattage requirement than running wattage. 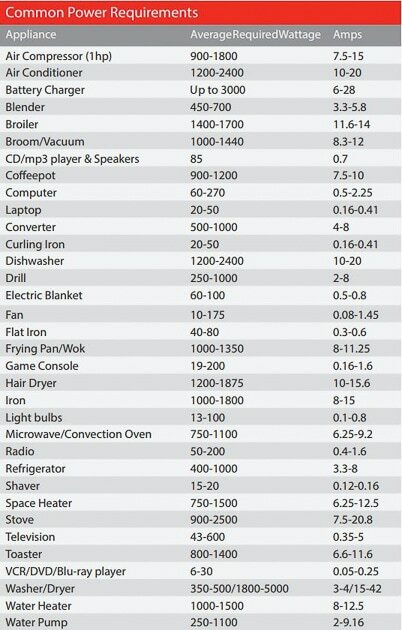 Add up the power requirements (in watts) for every appliance you will run simultaneously. Make sure to note the minimum running wattage of every other appliance, and the starting watts for your A/C unit. The total is the minimum wattage needed. When connecting the generator to your RV, you may need additional accessories. Make sure you have all the parts you need before you hit the road. Our product pages have a handy list of recommended accessories for RV generators to help you prepare. If you need more power than an RV generator, or it's going to be used on a regular basis for extended amounts of time, you may want to upgrade to a commercial model. 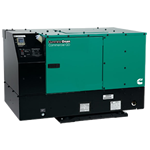 Commercial mobile generators are the ones you rely on for commercial and large-scale emergency services. They're rugged and designed for the toughest of conditions. These are the mobile generators used by telecom workers who repair the power lines; they're the generators used for emergency response vehicles that need to provide lighting, communications, and medical care on the spot. A popular use today for commercial mobile generators is powering food trucks. Food trucks are rapidly growing in popularity, offering the ability to reach a wider market with less overhead costs than a brick-and-mortar location, and these generators offer reliable power for all of your onboard appliances day after day. If you're looking for serious power that you can rely on for the biggest and toughest of jobs, then commercial mobile generators are exactly what you need. According to the Environmental Protection Agency (EPA), gas fumes produced inside the tanks of RV generators must be captured and returned to be burned. 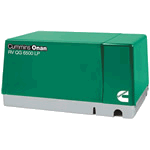 This has lead to the manufacturing of EVAP generators that are specially designed to meet these regulations. Typically, motorized RVs already have a built-in system that complies with these regulations, but most tow-behinds don't. The towable RVs require that you install an EVAP generator, certified hose, special fittings, a specially designed metal tank, and a carbon canister. If your system is missing any one of these certified EVAP components, you'll be subject to a hefty fine should you get stopped and inspected. So unless your gas RV generator pulls its fuel from the chassis fuel tank, you'll want to be sure you're compliant on the roadway so you don't get stuck with a major fine. RV GENERATOR BUYER'S GUIDE: How to Pick the Perfect RV Generator. Choosing the right RV generator is important for your RV. RV generators power the appliances aboard your motor home. Options to select include size, fuel type and whether you want the RV generator enclosed or not.